So, she sat beside me during elective class this morning, and we learned about mass media (cinema was one of it). I was like "eh lamanya tak tengok wayang." 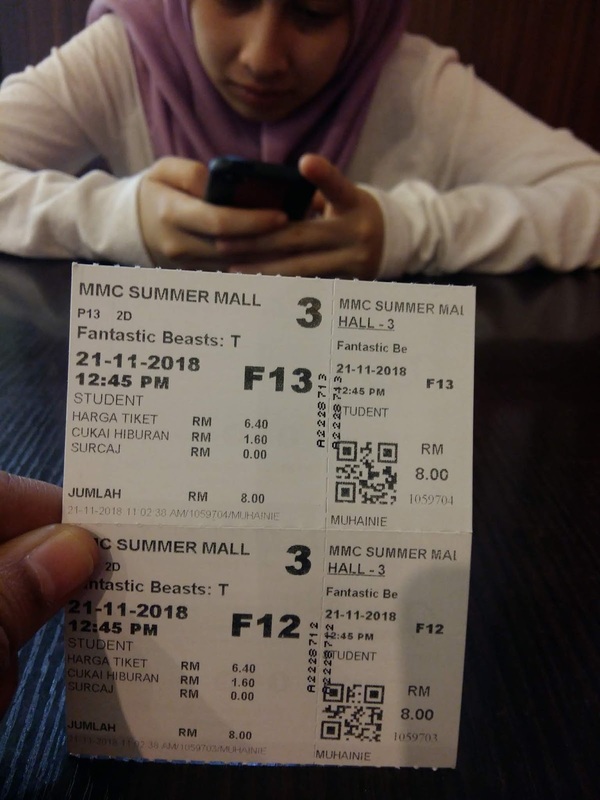 and she replied "dah nangga (tengok) Fantastic Beast 2 ka? 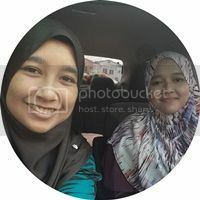 Mun (kalau) belum jomlah tengok sama-sama.". Long story short, we took the bus to Summer Mall after the class finished and watched Fantastic Beast 2 together! I didn't expect I'll watch this movie with someone I barely know. We only meet during elective class (every Wednesday). This is so not me, haha. Thanks for watching the movie with me, Mira! 4.5/5 stars for Fantastic Beast 2. I'm sorry, I'm a Potterhead so this going to be a biased review. THIS MOVIE IS AMAZING! Hehe. But, just like everyone else, I also confused about Professor McGonagall. How old is she actually? I thought the events of Fantastic Beast 2 happened before she was born and in this movie she already a professor at the Hogwarts? One of the reasons why I gave 4.5/5 stars. And, I hate the ending. I need Fantastic Beast 3!